Chiropractic is an approach to health care that uses spinal manipulation to relieve pain. The goal of Chiropractic is the detection of spinal misalignment/subluxations that may be causing nerve interference. For example, nerve interferences may cause symptoms such as neck or back pain, shoulder pain, numbness or tingling into the arms or legs, or headaches. Correction of the spinal misalignment/subluxation can be performed by a manual spinal adjustment or instrumental spinal adjustment. 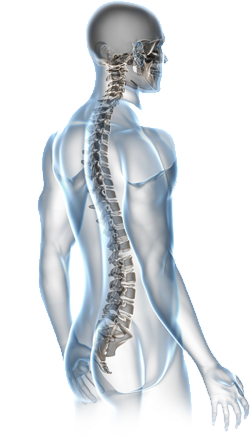 A spinal manipulation (adjustment) is a treatment that uses pressure on a joint of the spine to remove nerve interference, resulting in pain relief, and improving function. Removing subluxations will help you to experience a higher level of health and wellness. Chiropractic Care is a natural, hands-on approach for gently treating pain in any of your muscles, bones and joints. There are different methods that our office can use to achieve relief. Each patient’s care must be designed to his or her specific needs because many factors influence their response to care, such as work or daily habits, stress levels, or other health conditions. Therefore, each patient’s healing process and treatment plan will differ.